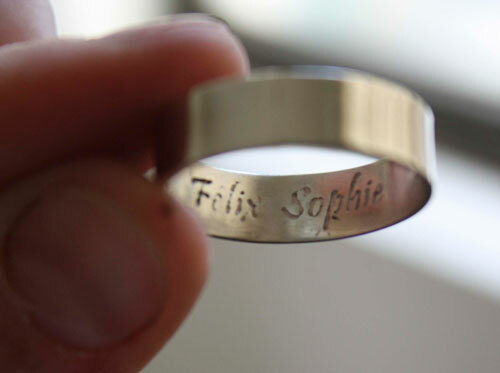 This is a custom order for vegetal rings: fenn and ivy. 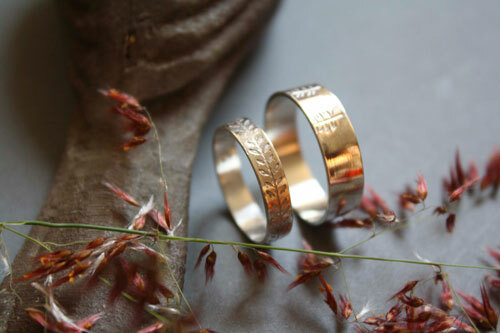 Fenny and Ivy are two different rings that you can find in our shop. 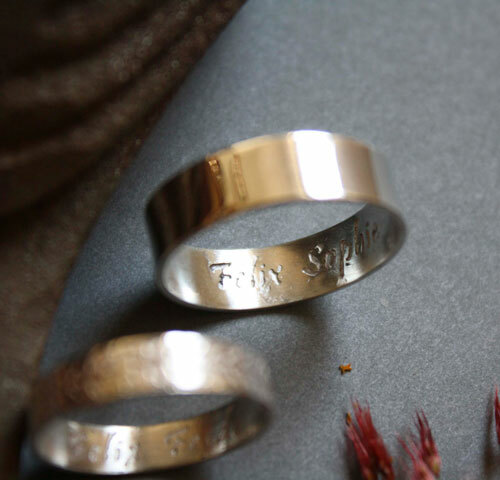 They were the favorite choice of our newlyweds. 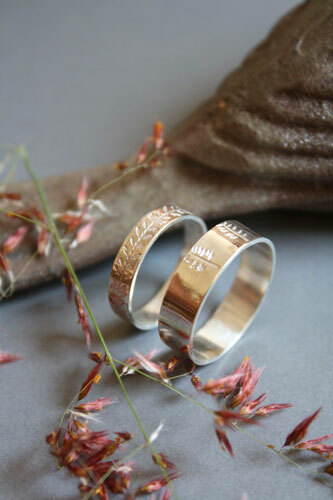 One ring is etched with an ivy branch all around the band and a larger band ring was hand stamped with pines reminding of the union and faithfulness. 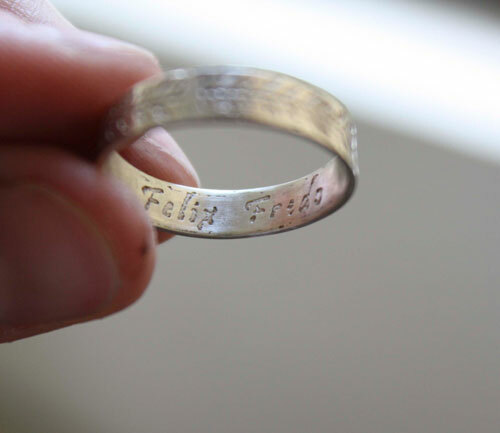 Each ring was then etched inside with a different quotation.